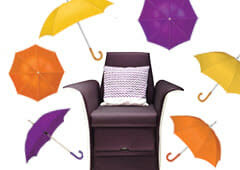 Take home the very best in skin beauty with our fabulous Dr. Denis Gross range. Each product in the DDG range is formulated by the New York based celebrity dermatologist himself, and combines a blend of the best natural antioxidants, vitamins and botanicals with the most scientifically advanced delivery systems. 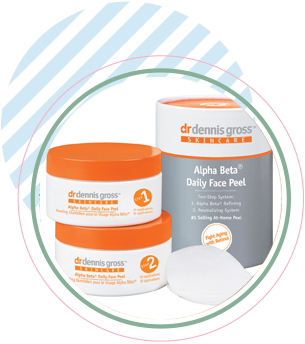 We stock a full range of DDG retail products for you to enjoy at home, including the Alpha Beta® Daily Face Peel. This amazing number one selling at-home facial peel delivers instant and lasting benefits you simply won’t believe. Like a stunningly smoother, brighter, more youthful and clearer complexion, it’s the only peel on the market to combine 5 Alpha and Beta Hydroxy Acids plus Retinol, Ubiquinone, Resveratrol and a host of antioxidants, vitamins and soothing botanicals. I just want to say I’m newbie to blogging and really savored your blog site. Probably I’m planning to bookmark your blog . You surely have fabulous stories. Cheers for revealing your web-site. I’m amazed, I have got to admit. Rarely should i encounter your blog that’s equally educative and engaging, and let me tell you, you possess hit the nail in the head. look for something in relation to this. Thanks for any other informative blog. The place else could I get that kind of info written in such a perfect approach? I’ve a undertaking that I’m just now operating on, and I’ve been at the look out for such info.